Ideally located on the sea side, the Pullman Palm beach offers a deliciously relaxing situation. Most bedrooms overlook the sea, the restaurants and meeting space are opened on the outside offering plenty of light. Meetings take place in 15 flexible rooms that can be configured to suit any occasion. For larger events, take a look at the 320-seat auditorium. Enjoy the sea view from the 4300 sq. ft. terrace. The hotel also offers a fitness room, an outside swimming pool and a small spa. Historical monument of 194 rooms and suites, five-star property, the Hotel Dieu opened in 2013, entirely redone to conform to the most up to date equipment while retaining the charm of ancient properties. It is a wow experience! Excellently located in the old town close to the Panier (historical cobble stone streets on a small hill), the Old harbor, the new Mucem museum, the Old Harbor it’s all there! For your dinner, the hotel offers two restaurants: the brasserie Les Fenêtres and the gastronomic restaurant Alcyone (1* Michelin). 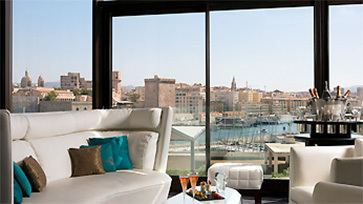 Both feature breathtaking views of the Vieux Port and a selection of dishes incorporating the freshness of Provence. 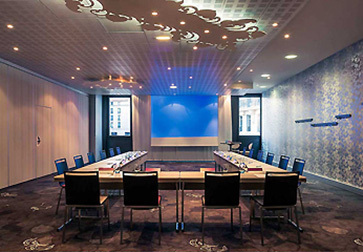 The hotel representation boasts a 1,000 m2 conference centre with 10 meeting rooms! 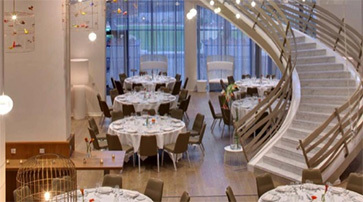 The ‘Salle des honneurs’, on the ground floor, has a seating capacity for 63 to 460 persons and can host as many as 440 guests for cocktail receptions. Added to this are 2 separate foyers and a terrace. The ‘Salle des honneurs’ can also be divided into two separate, full meeting rooms: the ‘Salon des Cordelles’ and the ‘Salon des accoules’. On the first floor, a further five function rooms with private terraces are at your disposal, offering a seating capacity of 10 to 110 persons and as many as 118 for cocktail receptions. Every element of our service and technology is designed to simplify the event planning process, from fast availability checks to the latest technology tools such as virtual tours and fully interactive floorplans that can be customised to each event. With probably one of the most beautiful views over the Old Harbor, the Sofitel has been maintaining a high standard in the Phocean city. 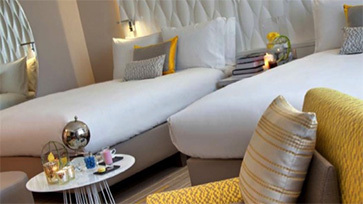 Only steps away from the vieux port with buzzing life and restaurants, the Sofitel offers contemporary decor, luxurious amenities and excellent service. The bar and its lovely terrace offer a great view, the restaurant, les Trois Forts is renowned all over the city for its refinement and the 134 large bedrooms are all equipped. 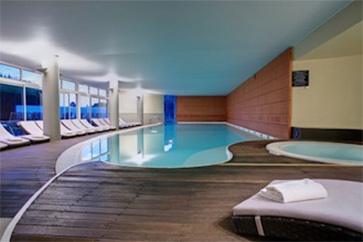 The swimming pool will enable you to relax and enjoy the mild weather of Marseille and the spa by Carita to relax and pamper. Meeting and function rooms are available for your gatherings, some offer the greatest view over the harbor and a terrace. 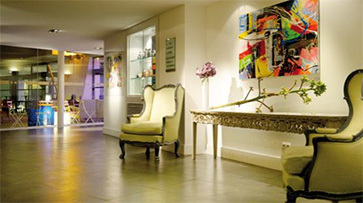 Created as a genuine art gallery, in the very heart of the city, the Renaissance Aix-en-Provence 5-star hotel offers 133 spacious rooms and suites. 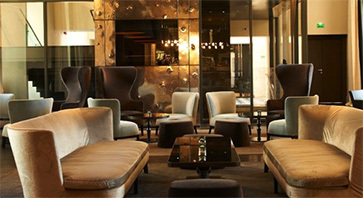 The décor is a contemporary reinterpretation of the symbols of the Provence. The cuisine has been entrusted to the renowned Michelin-starred chef, Jean-Marc Banzo who creates for you a gourmet rendez-vous in the gastronomic restaurant, the Bistrot and the lounge bar. 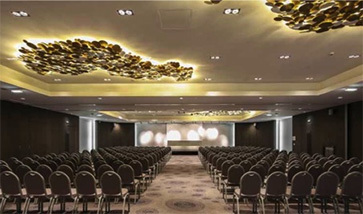 Dedicated to your events, 700 sqm with natural day light meeting rooms and sun-kissed terraces will host seminars, exhibitions, cocktails or 1000 sqm of garden for all kind of events. The hotel representation also features a wellness area including an indoor pool, treatment cabins, steam room and a fitness center. 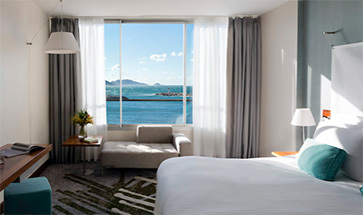 The New Hotel of Marseille is ideally located, in the extension of the Old Port, opposite Palais des Congrès du Pharo, at the gate of the sumptuous Marseilles bay. It has been built under the Saint Victor Abbey and Fort Saint Nicolas. 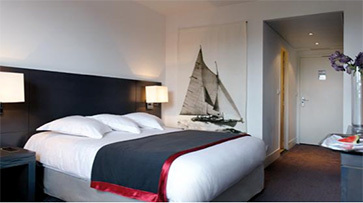 It is a 5-minute walk away from Marseille’s Old Port, the city centre and the beach. Combining originality and style, its architecture boldly brings together a 19th Century building. The Victor Café offers a refined inventive food. Discover Victor’s vegetable garden and its vineyards that have been created in 2006. The hotel representation has 100 modern air-conditioned comfort rooms, refined and personalized ornamentation.The rooms are distributed over four floors, in a well-coloured and sparkling environment. 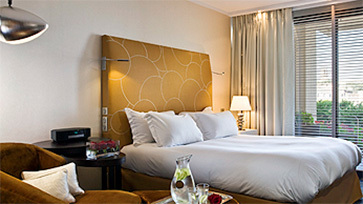 There is an “executive floor” at the top floor where rooms are high-standard and suites with private terrace. 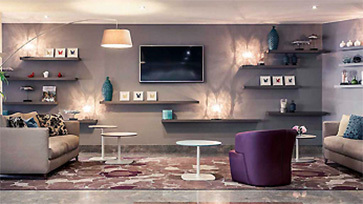 The 4-star Mercure Marseille Centre Vieux Port hotel was renovated in 2013 and is located in the heart of Marseille. You will appreciate its close proximity to public transport for your business meetings. With direct access to the Bourse shopping centre, a view of Notre Dame de la Garde and just a stone’s throw away from the Old Port and MuCEM, you can choose to work or relax. The Frioul bar is opened all day long and there are plenty of restaurants nearby. Function rooms can be used for group dinner on request. Standard Roomshave been completely renovated with free WIFI, LCD satellite TV, refrigerator, tea and coffee making facilities with kettle, safe and air conditioning. Bathroom with shower and hairdryer. This four-star property is located in the heart of Provence, near the charming seaside city of Bandol. The Dolce Frégate offers 100 guest rooms and 33 suites with large balconies and terraces overlooking the Mediterranean and the golf course known as Golf de Frégate. The restaurants that welcome groups are the Salon Provencal and the Véranda, whereas La Restanque offers daily specials. 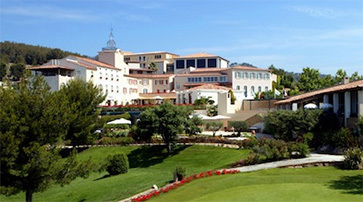 Apart from the 18-hole golf course, considered as one of the 10 best in Europe, the Dolce Frégate also offers a 9-hole course, 2 tennis courts, 3 outdoor swimming pools, an indoor heated pool with Jacuzzi and sauna, a fitness room and a beauty institute where body and face treatments can be arranged. 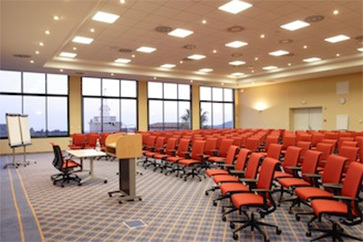 The hotel representation also boasts a modern conference centre for up to 200 participants, with 13 daylight meeting rooms, covering a total area of 811 square metres, a conference co-ordinator and audiovisual technician. The plenary room is fitted with mineral water, note pads pencils, video projector, screen, and paperboard. All breakout rooms are fitted in the same way except the beamer, which can be rented with an additional cost. The residential seminar package we propose for you include the exclusive use of the plenary room, theatre style for 130, two permanent coffee breaks in the form of buffets, lunch with drinks, and dinner with drinks (¼ bottle of wine, mineral water and coffee). It also includes accommodation in single rooms (run of the house) and American buffet breakfast. Also included: access to the outdoor and indoor swimming pools, sauna, Jacuzzi and workout room. At this hotel we can propose for you a special arrangement: Discover golf while enjoying a drink. This activity is organised like a challenge based upon the different stages of the game: each group of 15 is accompanied by a local golf pro and all necessary equipment is supplied. Drinks are served by the golf mats, including a selection of Domaine de Frégate rosé and white wine, beer and soft drinks and a choice of delicious appetisers: 2 filled glasses and 2 filled spoons per person. 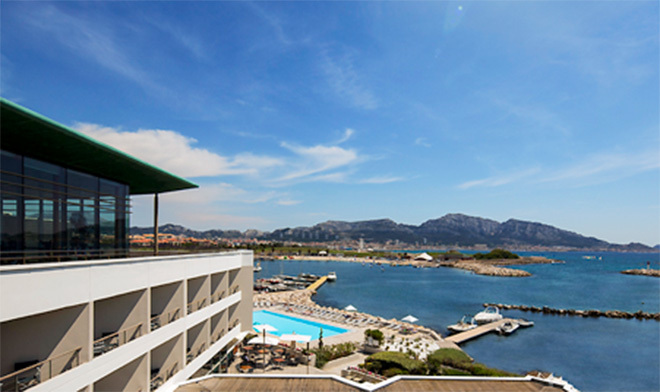 Are you interested with the hotel representation in Marseille and its fantastic hotels? Would you like to receive more information about travelling to France in general, then please contact us and we will be happy to help you and put you in touch with our DMC in France.